TO LEARN MORE ABOUT PATSY, BE SURE TO VISIT LETTERS . . . Patsy and her mother Hilda Hensley arrived in New York. Hilda was to be Patsy's "talent scout" on Arthur Godfrey's program on CBS-TV, even though talent scouts weren't supposed to be related to contestants. Patsy and Hilda were pulling off a deception - much to Mrs. Hensley's embarrassment. She lived in fear they would be found out. Godfrey was then the king of network TV (day and night-time). Monday, January 21, 1957 : On Arthur Godfrey's Talent Scouts, very much against her will, Patsy was forced to sing a song she hated, "Walkin' After Midnight." It wasn't country and Patsy didn't want to sing a pop song. Worse, the song was arranged as a big band number. The winner would be decided by audience response on a huge "Applause Meter." "What happened," recalled Mrs. Hensley, "was just unbelievable. Patsy sang her heart out for over two minutes. Then there was an eternity of applause." "Patsy cried," Mrs. Hensley remembered, "and I cried. I wanted to run out and throw my arms around her, but I knew I couldn't. This moment was everything Patsy ever dreamed of - the recognition and receiving such fantastic exposure over national television. Patsy told me later she had a strong impulse to holler out 'Mama!' but got control of herself. People were standing and yelling for more." Godfrey finally had to calm the audience. He put his arm around her and said, "Congratulations, Patsy. Something unbelievable has happened. For the first time in our history, the applause has frozen the meters. It looks like you're the winner!" All Patsy could do was smile and cry. "Little lady, you sure know how to sing. Will you do another song for us?" The audience went wild. 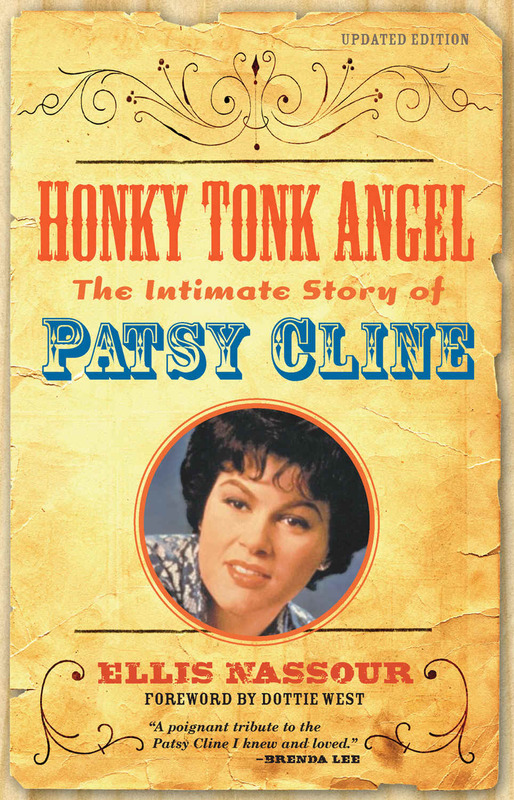 Patsy got to do a country song after all, the Hank Williams hit "Your Cheatin' Heart." "And when she finished," exclaimed Mrs. Hensley, "the audience went crazy again! It was one of the most memorable occasions of my life. And Patsy's!" Godfrey congratulated Patsy once again, "There's surely stardust on you, Patsy Cline!" As excited as she must have been, that night Patsy wrote in her diary simply, "Went on the Godfrey Talent Show . . . Won."
. . . It would be polite to say that Patsy's funeral was a three-ring circus. Since Charlie had to attend the services for the other deceased, Patsy's funeral was moved to Sunday afternoon to give him, Mrs. Hensley, and members of the family time to get safely to Winchester. The burial attracted thousands of fans and a mass of media. They quickly became an unruly mob that city and Virginia state police could barely handle. Members of the family were disgusted with the conduct of a majority of the crowd, but Mrs.Hensley and Charlie were too distraught to know what transpired. The situation became so unmanageable that old friends of Patsy's, such as the Crutchleys, the Deytons, Jumbo Rinker, even Bill Peer couldn't get into the funeral home. Sammy Moss, a Winchester disc jockey and bandleader who'd also known and befriended Patsy early on, noted on his annual Patsy Cline memorial broadcast in 1972: "This country DJ had never expected anything like this. I had been asked to be a pallbearer ... As I arrived ... about two forty-five it looked as though something big was about to happen. Streets were jammed. Traffic was almost at a standstill, and when I arrived at the Jones Funeral Home I could see what all the commotion was about. The general public wanted to participate in the final rites of Patsy Cline. It was filled to capacity. Finally, the doors were locked so the service could begin."